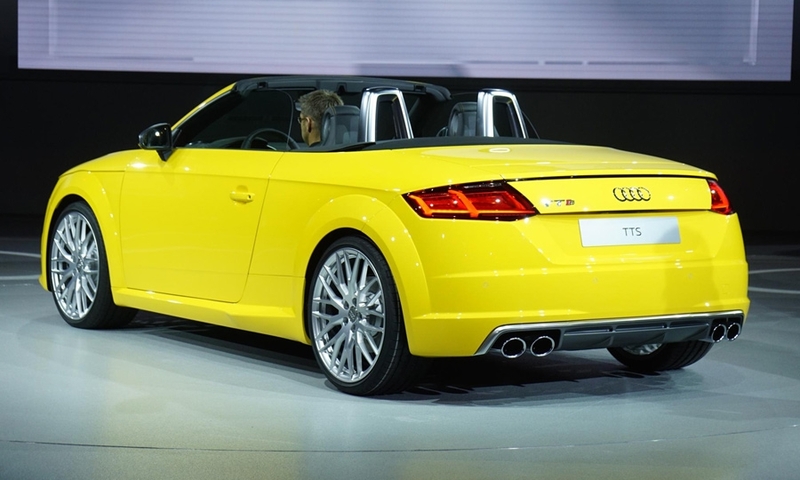 FRANKFURT -- Audi released the first images of its third-generation TT Roadster softtop cabriolet on Wednesday, teasing buyers ahead of the two-seat model’s debut at the Paris auto show next week. 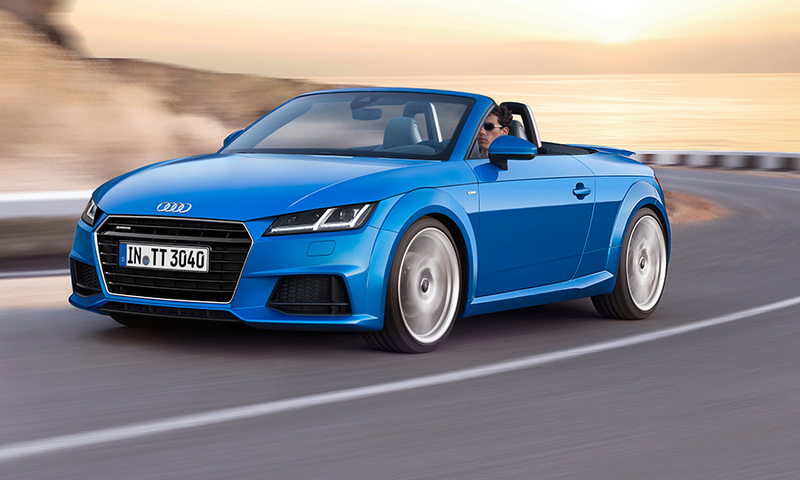 Much of the new TT Roadster's technical specifications are similar to the already-shown new TT Coupe. The cars have the same engine range and many of the same chassis components, but there are a few important differences. 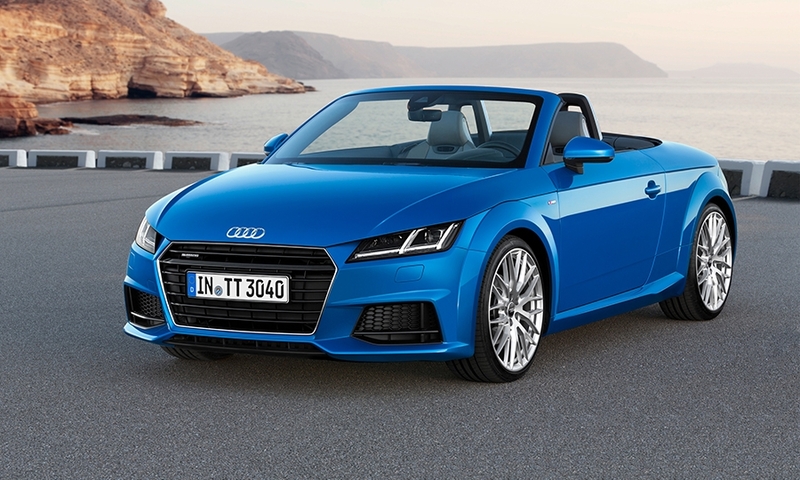 The TT Roadster's fabric roof is equipped with two electric motors that can open or close the top in 10 seconds, down from 12 second for the previous-generation model. 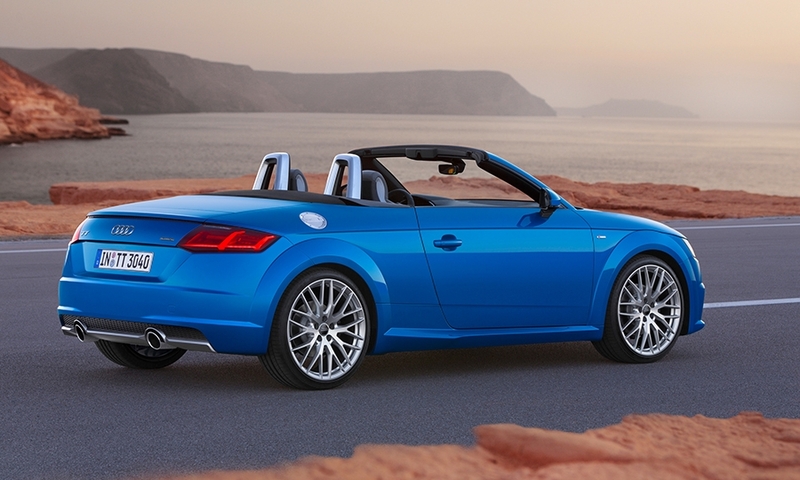 The roof can be opened or closed at speeds of up to about 50kph (about 30 mph), Audi said in a statement. Thanks to parts made from magnesium, aluminum, steel and plastic, the roof weights 39kg, making it 3kg lighter than its predecessor. The car also boasts improved crash safety, although the additional reinforcements to stiffen the body and compensate for the loss of the B- and C-pillar pack on 90kg of additional weight for the base 2.0-liter TFSI version compared with the coupe. To improve torsional rigidity, for example, aluminum A‑pillars each conceal a second steel pillar in their interior, which in turn houses a solid steel tube. As a result, the top-of-the-line 2.0-liter TFSI Quattro S tronic with 310 hp goes from 0 to 100kph in 4.9 seconds as a roadster, which is 0.3 seconds slower than the equivalent coupe. 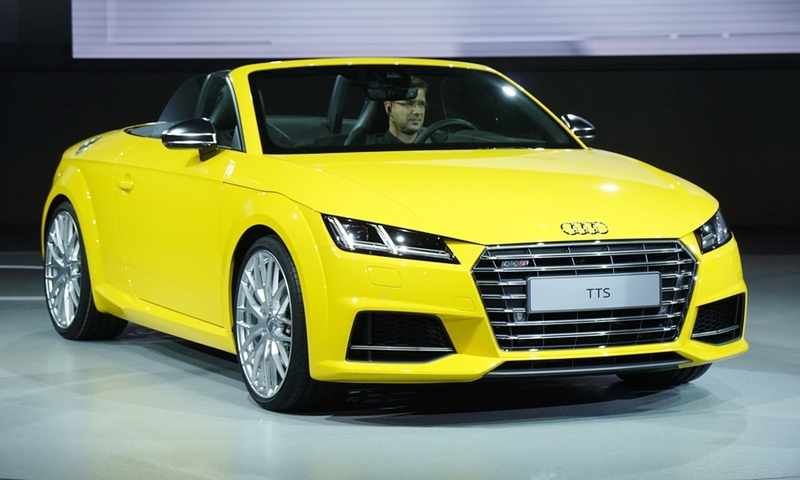 “The concept of designing a compact roadster following clear geometrical rules formed the original idea for the Audi TT in autumn 1994,” Audi development chief Ulrich Hackenberg said in a statement on Wednesday. 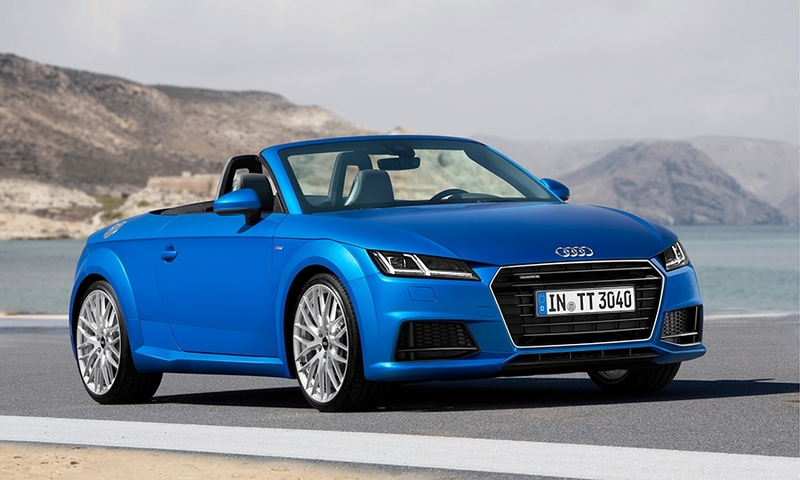 In Germany, customers can begin ordering the new TT Roadster in October with prices starting at 37,900 euros for the 2.0 TFSI. 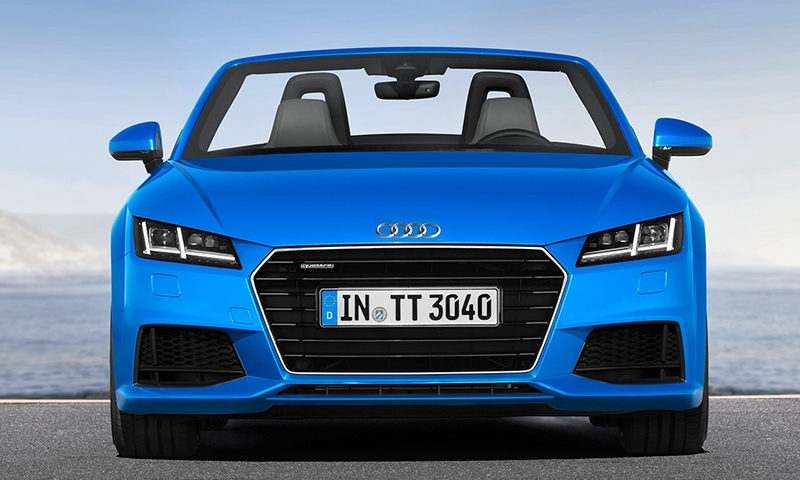 The model will arrive in showrooms in spring 2015 while the higher-power TTS cabrio will follow shortly afterwards. 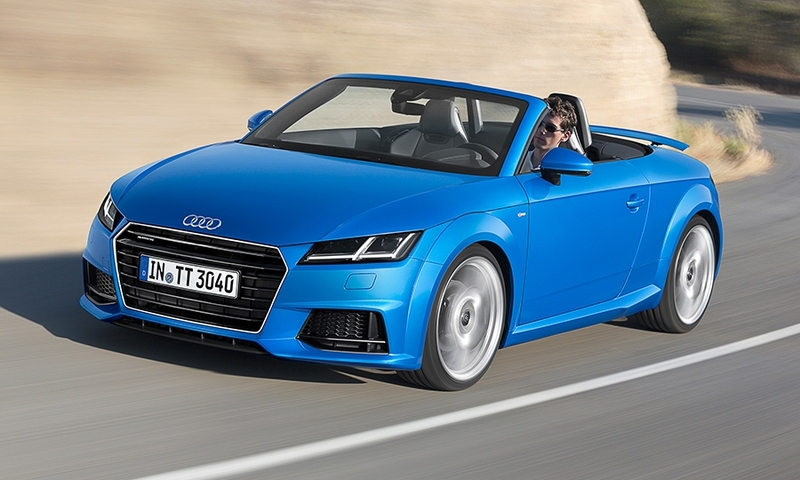 Audi is scaling back its sales expectations for the new-generation TT given shrinking overall demand for the compact sports car segment. 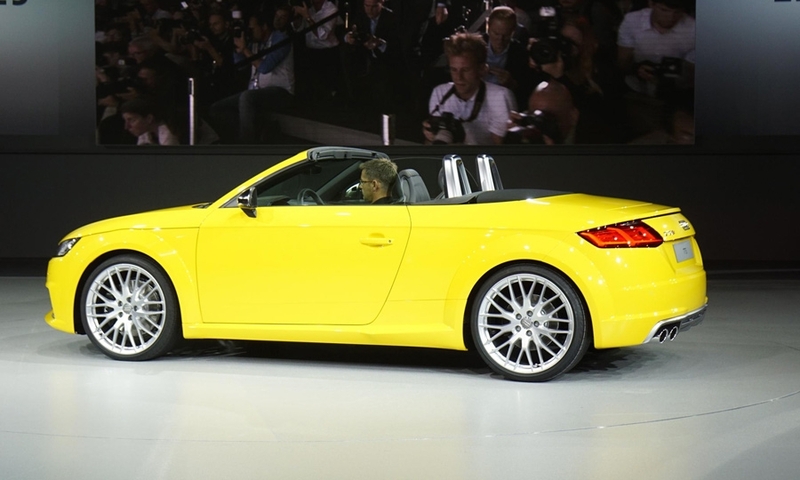 While the current TT, which entered showrooms in 2006, managed to match the 250,000 sold of its predecessor over the course of their respective life cycles, sources at Audi say it is not realistic to expect the latest TT to achieve the same feat.